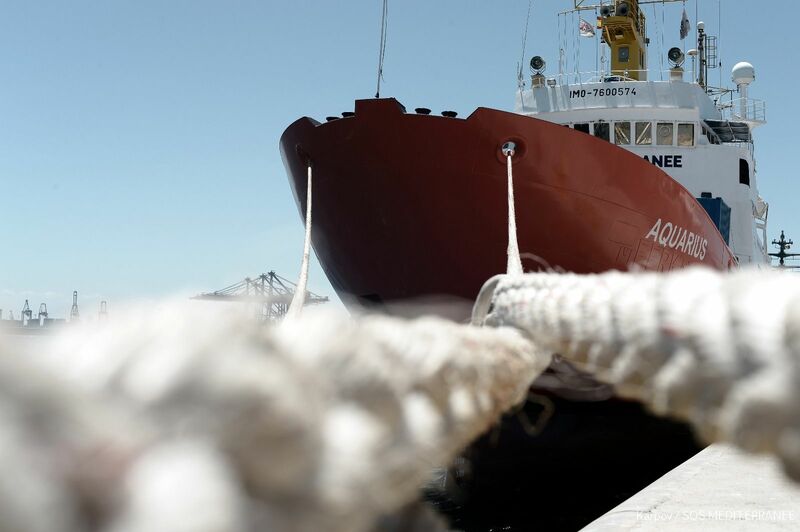 The rescue boat Aquarius, run in partnership between SOS MEDITERRANEE and Médecins Sans Frontières (MSF), sets sail today from Marseille after an extended port call. Aquarius is heading back to the Central Mediterranean in order to render assistance to persons in distress at sea. 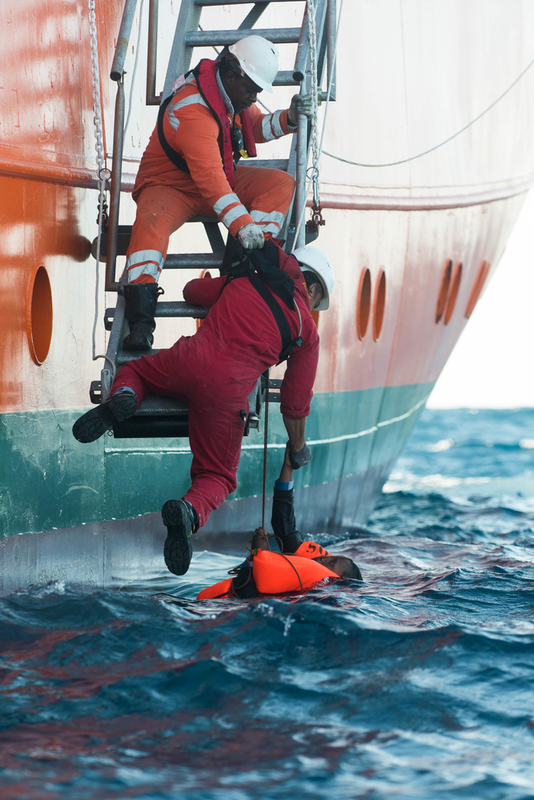 MSF personnel operating in appalling conditions as they help a boat in distress full of refugees and migrants off the northern coast of Libya. Another day on the Mediterranean: The MSF medical team on board the Aquarius resuscitated six young children, and one woman. Despite their best efforts they were unable to resuscitate two other women who had drowned. ​Refugees, asylum-seekers and migrants intercepted at sea should not be returned to Libya. Therefore, Aquarius is obliged to refuse any instruction by maritime authorities to disembark people rescued at sea in Libya, or to transfer people rescued at sea onto any ship that would disembark them in Libya. 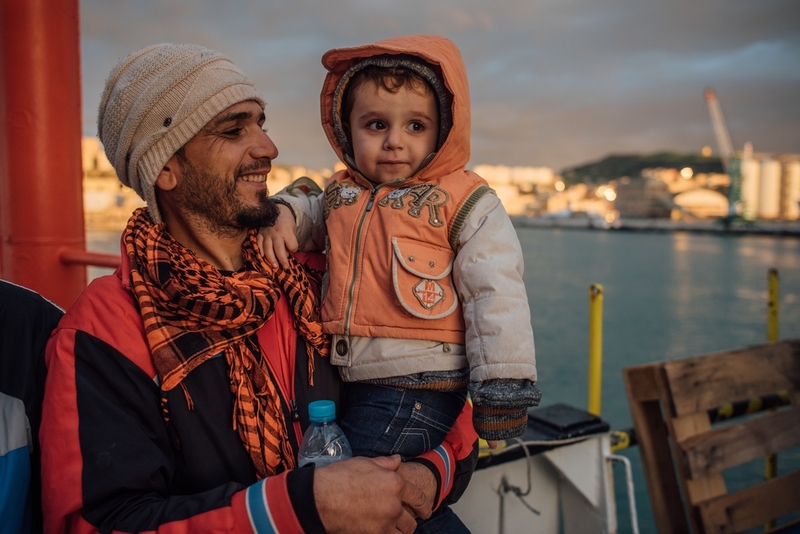 A man and his young son find time to pose for a photograph shortky before docking in Italy, after a harrowing crossing and rescue at night amidst high seas and appalling conditions in the Mediterranean sea. 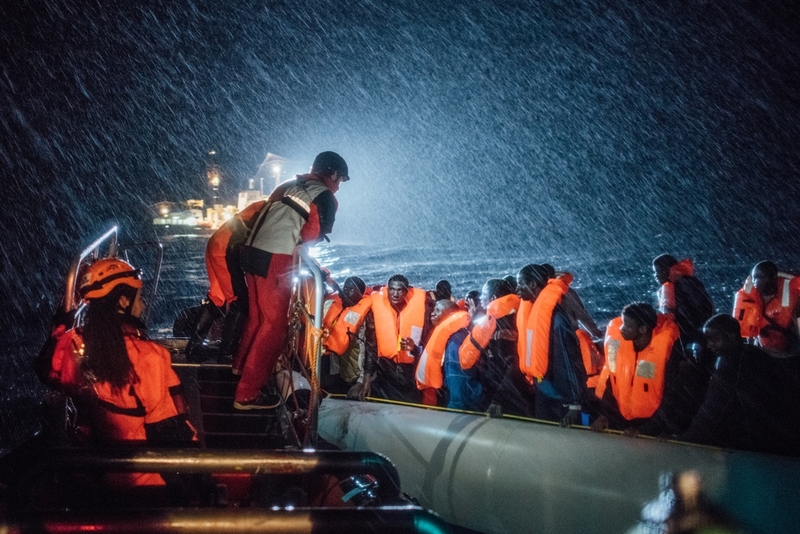 With over two years of experience in the Central Mediterranean the Aquarius has assisted more than 29,000 people in more than 200 operations at sea, all coordinated by competent maritime authorities. On numerous occasions, the Aquarius has been mobilised by maritime authorities to accommodate people rescued by other vessels in the Central Mediterranean, either commercial, military or coast guard ships. The ship has three fast rescue boats with emergency floatation tools for mass rescue operations, a specially recruited crew of 35 consisting of a professional marine crew, rescuers and a medical team from MSF, trained to render assistance to persons in distress at sea. The Aquarius has been set-up to provide emergency care to more than 500 people at one time for several days on the high seas.